All VIU students, Career Center Orientation May 13th! 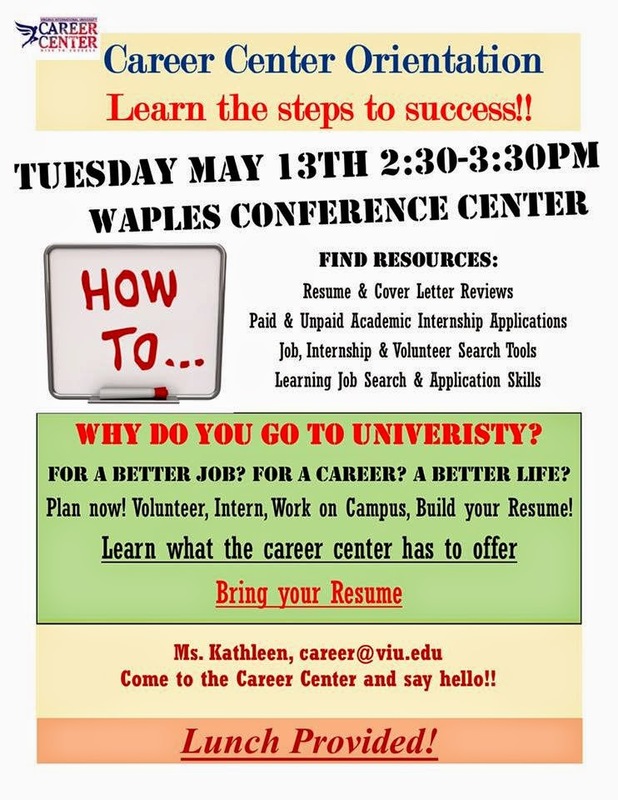 We invite you to the Career Center Orientation May 13th, 2014 from 2:30-3:30pm in the Waples Conference Center! Remember to let all the new students know! « Snack and Study! April 21st and 22nd 2014, 9:00am-5:00pm, Village Drive.